The government is trying to slop children who are harmed by vaccines from being compensated for their suffering. 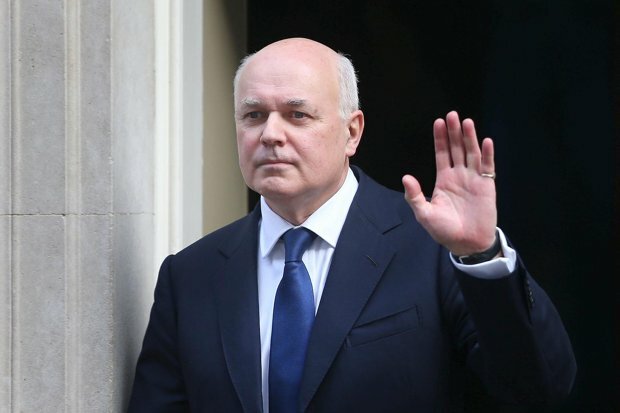 Iain Duncan Smith, the work and pensions secretary, has asked the Court of Appeal to overturn a ruling which entitles an 11-year-old boy who developed narcolepsy after the swine-flu jab to receive money for his future disability as an adult. Mr Duncan Smith wants compensation to be awarded by calculating only the level of disability which children are enduring at the time the claim is made. Millions of pounds of compensation are at stake for dozens of cases under consideration and Mr Duncan Smith's lawyers have argued that the decision could "have a significant effect on the public purse". The Department for Work and Pensions (DWP) has agreed, as an individual non-binding out-of-court deal, to compensate this particular child, known as "John", with the stock payment of £120,000. However, there are another 40 cases to be considered which the government wants to be subjected to strict restrictions on eligibility for compensation. Effectively the DWP wants the courts to measure victims' disability by taking a snapshot of their current difficulties rather than anticipating problems as they grow into adulthood. The state-funded Vaccine Damage Payments Unit gives £120,000 as a one-off tax-free lump sum payment to victims harmed by inoculations if they reach "60 per cent" disablement, meaning they are severely disabled. Parents say that the government's approach is unjust because claims are usually brought in childhood when the effects may be relatively minor. A handicap may become more restrictive as the victim grows up.